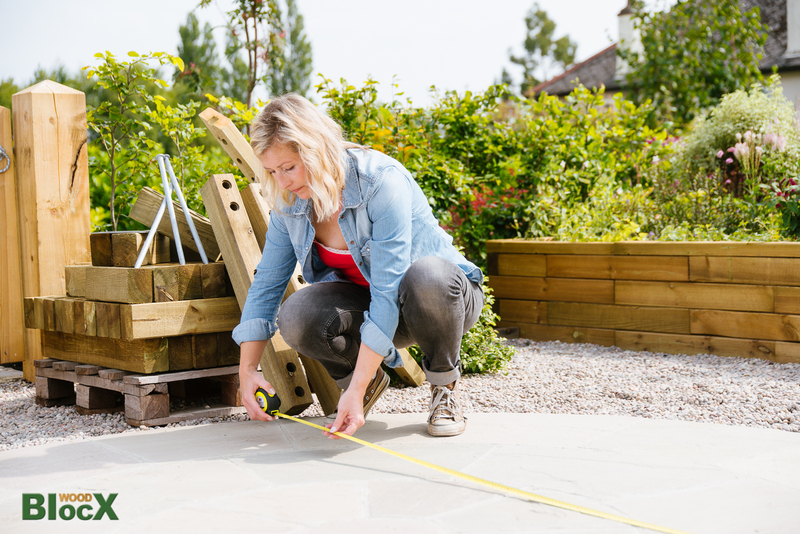 When considering the options for your garden building project – whether it be raised beds, planters, benches or more, timber is often at the top of the list. It’s a natural product, relatively easy to use and cheap. Boards and planking can warp and bow over time however and cannot be guaranteed to be strong or durable enough, so railway sleepers are often seemed to be the only timber option. However, a modular timber system such as WoodBlocX has many advantages over sleepers. Sleepers are very heavy and awkward to handle. 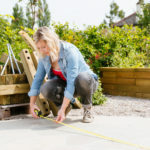 Their size can mean they are difficult to get into the garden, and you’ll need help to get them there and into place. The individual WoodBlocx pieces are so light, small and easily carried that a child could build with them. Sleepers require cutting, drilling and bolting together, all processes that take time, need expertise and create noise. WoodBlocX are pre-cut, pre-mitred and pre-drilled so are quick and easy to put together and require no power tools. The origin of the timber for some sleepers cannot be guaranteed. All WoodBlocX timber is FSC certified, most of it is UK grown, and it is all processed in the UK. Sleepers are treated with a range of chemicals including creosote that can leach out into the soil or water. From there it can be taken up by plants (and who wants creosote in their veggies?) or poison the water in ponds. WoodBlocX timber is pressure-treated with environmentally-friendly products and certified organic by the Soil Association. Sleepers come in limited sizes, all of which are big. Their size limits a design because they can only be used in a few ways. The width of the sleepers themselves takes up a lot of space that is essentially wasted. WoodBlocX are only 75mm wide, allowing more space for planting or paths. Sleepers – especially re-used ones – generally only come in one dull shade of dark brown. WoodBlocX can be very easily painted any colour of the rainbow or clad in metal. Sleepers are expensive and can also result in a lot of waste..
WoodBlocX supply exactly what you need in pre-fabricated BlocX, at a fraction of the price.. The WoodBlocX modular timber system is a great option for any garden project, and can be used to build raised beds, planters, benches and seats, raised ponds, retaining walls and edging. They are cheaper, better to build with and more flexible than railway sleepers. Have a look at the website to see how they can be used in a garden, or give our team a call to discuss how we can help with either our kits or a bespoke design.